The run up to Computex has been insane. Kabini, Haswell and Iris hit us back to back to back, not to mention all of the travel before receiving those products to get briefed on everything. Needless to say, we're in major catchup mode. There's a lot more that I wanted to do with Haswell desktop that got cut out due to Iris, and much more I wanted to do with Iris that I had to scrap in order to fly out to Computex. I will be picking up where I left off later this month, but with WWDC, Samsung and a couple of NDA'd events later this month, it's not going to be as quick as I'd like. 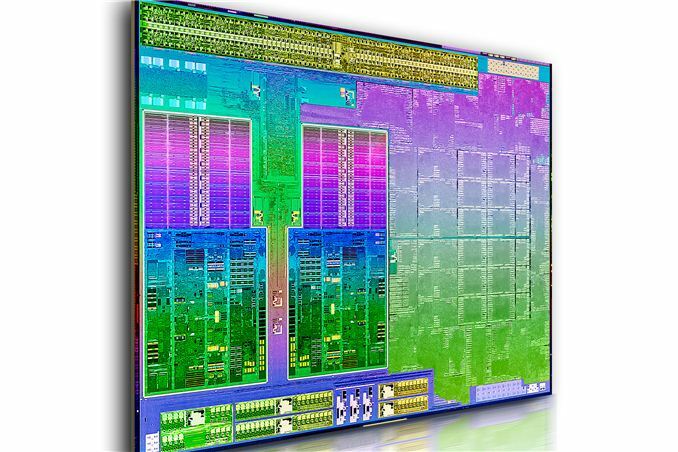 One part that arrived while I was in the middle of launch central was AMD's Richland for desktop. Effectively a refresh of Trinity with slightly higher clocks, a software bundle and more sophisticated/aggressive turbo. Richland maintains socket compatibility with Trinity (FM2), so all you should need is a BIOS update to enable support for the chip. AMD sent over two Richland parts just before I left for Computex: the 100W flagship A10-6800K and the 65W A10-6700. I didn't have time to do Richland justice before I left, however I did make sure to test the 6800K in tandem with Haswell's GPU just so I had an idea of how things would stack up going forward as I was writing my Iris Pro conclusion. For all intents and purposes, Iris Pro doesn't exist in the desktop space, making Haswell GT2 (HD 4600) the fastest socketed part with discrete graphics that Intel ships today. In our Haswell desktop review I didn't get a chance to really analyze HD 4600 performance, so I thought I'd take this opportunity to refresh the current state of desktop integrated processor graphics. Unlike the staggered CPU/GPU launch of Trinity on the desktop, the situation with Richland is purely a time limitation on my end. This was all I could put together before I left for Computex. Although Richland comes with a generational increase in model numbers, the underlying architecture is the same as Trinity. We're still talking about Piledriver modules and a Cayman derived GPU. It won't be until Kaveri that we see GCN based processor graphics from AMD at this price segment (Kabini is already there). As Jarred outlined in his launch post on Richland, the 6800K features 4 - 8% higher CPU clocks and a 5% increase in GPU clocks compared to its predecessor. With improved Turbo Core management, AMD expects longer residency at max turbo frequencies but you shouldn't expect substantial differences in performance on the GPU side. The A10-6800K also includes official support for DDR3-2133. AMD is proud of its valiation on the A10-6800K, any parts that won't pass at DDR3-2133 are demoted to lower end SKUs. I never spent a ton of time testing memory overclocking with Trinity, but my A10-5800K sample had no issues running at DDR3-2133 either. I couldn't get DDR3-2400 working reliably however. Graphics HD 8670D HD 8670D HD 8570D HD 8570D HD 8470D ? For my Richland test platform I used the same Gigabyte UD4 Socket-FM2 motherboard I used for our desktop Trinity review, simply updated to the latest firmware release. I ran both AMD platforms using the same Catalyst 13.6 driver with the same DDR3-2133 memory frequency. AMD was quick to point out that only the A10-6800K ships with official DDR3-2133 support, so the gap in performance between it and Trinity may be even larger if the latter tops out at DDR3-1866. The HD 4000/4600 numbers are borrowed from my Iris Pro review using DDR3-2400, however I didn't notice scaling on Haswell GT2 beyond DDR3-1866. I'll be following up with a more thorough look at Richland once I'm back from my current bout of traveling.